Casting for another job: will fishers take up a new livelihood? Can alternative income programs save Fiji’s reef fish? If a country’s residents, historically, didn’t fret about their coastal resources or concern themselves with starvation, what happens when those previously abundant resources start diminishing? How does a culture shift gears into thinking conservatively? There’s no question that solutions are sorely needed for Fiji’s declining reef fisheries. The debate, though, usually hinges on what needs fixing first, and how. Many implicate the failure of Fiji’s government to prioritize sustainable management over fisheries development projects, or suggest that Fijians’ mindsets must dramatically shift first. Similarly, people in Fiji believe that communication between rural people and the government needs improving, laws should be rewritten to tighten poaching and loopholes, or fishing should simply be curtailed. Still others contend that communities need more resources to protect their reefs. Either way this tangled web of ideas leads to no single overarching solution. Remote yet picturesque coastal villages such as Nauouo in Fiji are subsistence societies that live mainly off the land by farming and fishing, but now require more income. Photo by Amy West. Helen Sykes, the founder of Marine Ecology Consulting in Fiji, says the most important thing that conservation organizations and scientists need to consider when working in Fiji, or other regions that mainly depend on fish for protein, is to think like a fisheries manager first, not a preservationist. This notion is echoed by Joshua Cinner, a professor at James Cook University, who specializes in the relationship between coral reefs and coastal communities. The ways in which people view ocean resources and what they want to happen with them can be dramatically different. A conservationist may want to protect resources from people, explains Cinner, but a community’s view is that marine ecosystems still need to provide them with goods. Helen Sykes’ private sector work with Fijian communities for 16 years has shown her that Fijians don’t live in the future; they “live in the day.” When people live in poverty, she explains, conservation is not the first thing on their mind. She points out that if a community is to change how it fishes, there has to be some form of financial improvements. Alternative income generation, she emphasizes, has to be part of the solution. Rural areas in Fiji were not characteristically an income-based society, but today financial obligations in villages include school and government fees, church donations, and transport, plus the ever-increasing desire to own an iPod, mobile phone, or television. 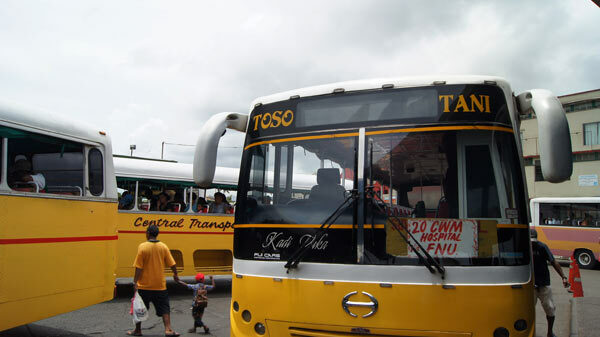 This often means leveraging Fiji’s natural resources to meet the growing list of expenses. It’s no surprise then that income generation projects are commonly advocated by many aid organizations that swoop in to help manage coastal fisheries. After all, it sounds sensible. Hugh Govan would passionately disagree. As a consultant who looked critically at the fishing economies of several Pacific Island countries for the last quarter of a century, Govan questions the effectiveness of alternative income generation projects. “There’s no evidence to suggest that it helps,” says Govan. 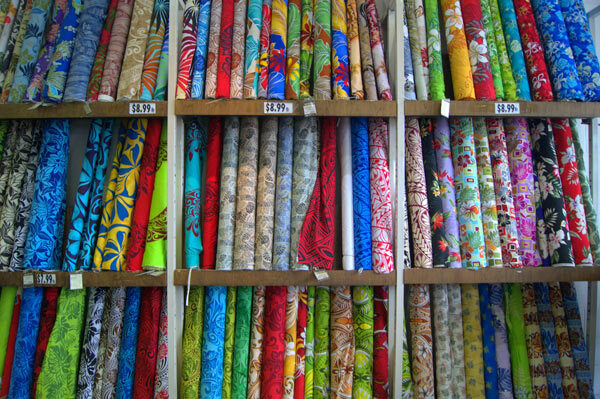 Aside from school and church fees, other expenses for rural Fijians include the cost of transport, and material goods such as fabric for clothing. Photos by Amy West. He co-authored a study that indicates why diversifying livelihoods may not be successful as a fisheries management tool. According to the research, what’s often overlooked in these seemingly well-intentioned projects is misunderstanding the motivations for fishing, the lack of sufficient capital and follow-up by supporting organizations, and marketing that works. Also overlooked is recognizing the cultural pitfalls when pursing a new business. In Fiji, for instance, if money materializes for a family member, kerekere— a word translating to “please”— may come into play. Kerekere implies sharing in the sense that family members can borrow without expected repayment- a common custom throughout the Pacific to divvy up the wealth. Thus, new sources of income may not translate into less fishing. Govan states that alternative income projects can also be a very expensive investment. Although he acknowledges that communities need help developing other methods of generating income, he cautions dumping money into these projects without knowing if they will actually reduce the pressure on the very thing they are designed to conserve—particularly when aid money and government funding are already constrained. “Even if the alternative livelihoods result in a viable activity, it cannot be automatically assumed that they relieve pressure on fishery resources,” adds the paper’s lead author, Robert Gillett. As a fisheries consultant for the past two decades in the South Pacific, he and Govan both list anecdotal evidence that showed an influx of new money actually led to buying boats and fuel. Not to say it wouldn’t work in some areas, acknowledges Govan, such as the popular tourist region of the Coral Coast. Here, many locals work in hotels, which might have decreased some fishing nearby, he admits, but most villages aren’t near hotels, and in some regions few income options exist other than fishing. More importantly these alternative income projects can divert attention from actually managing the fishery, he states, which might be the most beneficial approach to improving its health. Cinner points to seaweed farming projects in the Philippines that failed to include the male fishers, or brought people from outside the area, which led to more fishing. He concludes that alternative income initiatives aimed to help communities manage their fisheries likely missed the boat on why people chose to fish in the first place. Fishing is not only an occupation—it’s a lifestyle. And many Fijians reiterated this notion. Social research agrees: economic incentives are not always what spur people to fish. In fact, the strong cultural identity tied to fishing can be woven so tightly into a family, society, or individual that it’s powerful enough to keep them fishing, even in declining ecological scenarios. Secondly, people tend to rally together to manage a resource when they depend on it, so it’s likely they’ll actually be less compliant or concerned about their coastline if offered other livelihoods options outside of fishing. 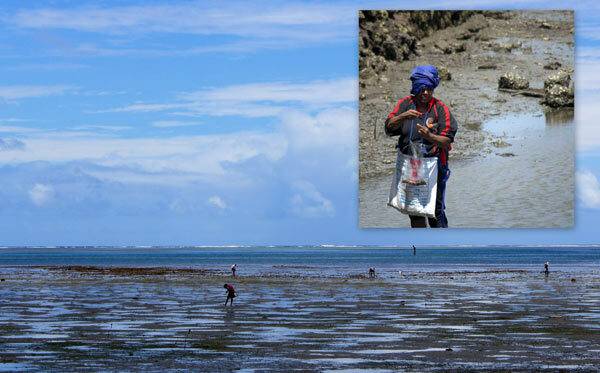 Aside from several household responsibilities, Fijian women largely contribute to fishing activities by handlining and collecting marine resources close to shore. Photo by Amy West. In essence, if people are not actively involved with their resources, they’ll be less invested in taking care of them— a view echoed by Hugh Govan. 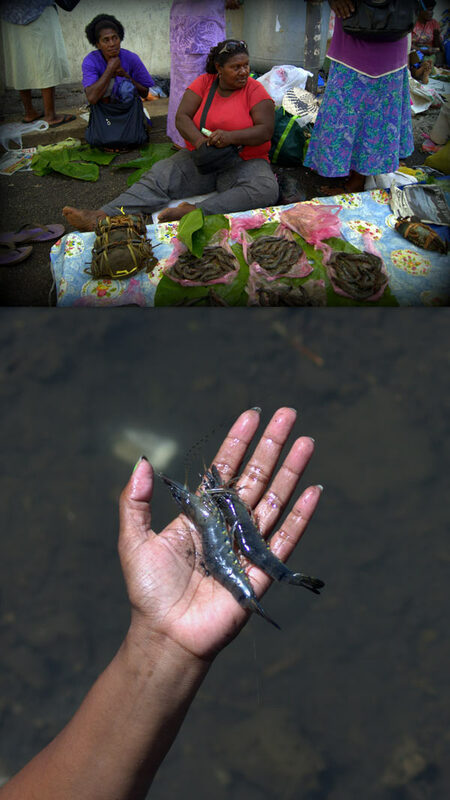 In Fiji many alternatives to coastal fishing have developed, with varying degrees of success, particularly in the aquaculture realm: sea cucumbers, milkfish, live reef rock, and seaweed. Multiple organizations such as Japan International Cooperation Agency, Partners in Community Development Fiji, World Wildlife Fund, and Wildlife Conservation Society also have programs promoting alternate livelihood projects in Fiji. Moving into aquaculture was intended to relieve pressure on Fiji’s coastal marine life. But in the case of subsidized tilapia farms, Robert Gillett didn’t feel it worked. When he looked into the food produced versus the subsidy, it didn’t add up. Although it’s been shown that money is not always the primary motivation in sticking with a coastal fishing livelihood, “the fastest way to earn income is from fishing,” points out Joeli Veitayaki, an associate professor of marine studies at the University of the South Pacific. Veitayaki has invested several years helping communities on Fiji’s island of Gau remain hopeful in managing their coastal fisheries, despite poaching and commercial fishing threats. He believes the best thing for Gau is to reduce fishing overall, so he promotes alternative sources of income for the community, which includes small commercial ventures, handicrafts, sustainable farming, and ecotourism. In his new book (in press), Veitayaki touts the success of the alternative income projects for Gau’s residents, but could not confirm that the projects actually improved the health of the fisheries. 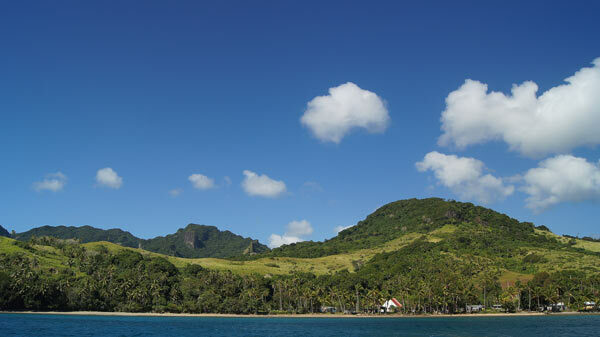 Ecotourism is not feasible everywhere in Fiji. Yet, in areas such as Namena Marine Reserve, where diving fees go to a scholarship and development fund, ecotourism is considered supplemental and not a primary source of income. The worry is that livelihood projects that foster the idea that compensation is necessary to wisely manage resources may not only be unsustainable, but also generate the wrong message. Despite the recent research on fishing motivations, could Fijians still fish their resources into collapse if lured by money? When it comes to the sea cucumber industry, that’s precisely what a village community did: they wiped out their resource. 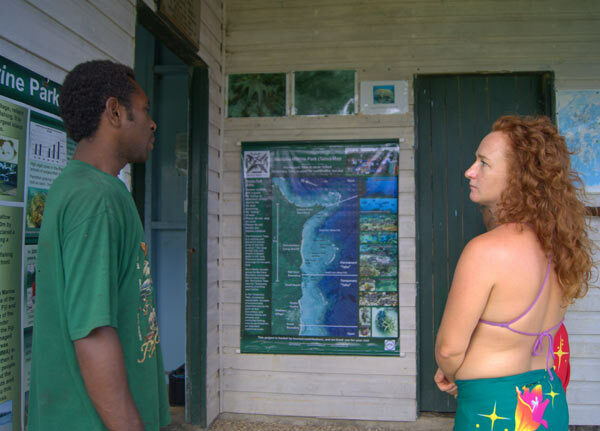 Waitabu resident Ba Laladidi explains the history of the Waitabu Marine Park on Taveuni. Here tourists can pay to homestay and snorkel in a protected area of reef. Photo by Amy West. Once stocks were essentially eliminated close to shore, divers had to go further and dive deeper, until accessible sea cucumber populations vanished. When it became an unprofitable venture the village residents eventually returned to their usual jobs of farming or regular line fishing. Many, such as Lund, made an important distinction about sea cucumbers: although a few species might be consumed in certain regions of Fiji, they aren’t recognized as a key part of the local diet. This does not justify such mismanagement, but if the resource is not needed locally and someone wants to pay a high price for it, it’s likely harder to say no. These scenarios seem to touch on research by political scientist and Nobel laureate Elinor Ostrom, who showed that the theory behind the Tragedy of the Commons was not always inevitable. Instead, Ostrom found that people entrusted to manage natural resources on which they depend, will find ways to take responsibility for them. It can also mean the reverse if those resources are taken away, or people are no longer connected to those same resources because they’ve switched livelihoods. Alifereti Tawake, who has worked with communities on marine resource management in Fiji and Australia, concurs that asking fishers to change livelihoods could do more harm than good. The challenges of convincing people to stop doing something that they love are clear. In fact, according to Tawake, it’s more appropriate to ask a fishing culture to reduce intensity rather than expect them to completely stop fishing. Nevertheless, the temptations for owning modern technology and more material goods won’t cease, nor will the rising threats of climate change, booming populations, and overfishing. Given these pressures and challenges, Fijians will have to think about how their current livelihood needs to transform. They will have to become stewards and think like conservationists. 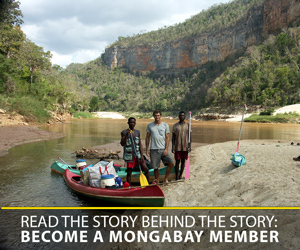 And programs aimed at creating alternatives to reef livelihoods will have to think like fishermen. Will Fijians fish themselves out of a resource if the price is high enough? Photos by Amy West.